Cartoon Clown Character Funny Circus Man Clownery Colorful Friendly Costume Male Clownish Artist Vector Illustration. Royalty Free Klipartlar, Vektör Çizimler Ve Stok Çizim. Image 90927192. Stok Fotoğraf - Cartoon clown character funny circus man clownery colorful friendly costume male clownish artist vector illustration. 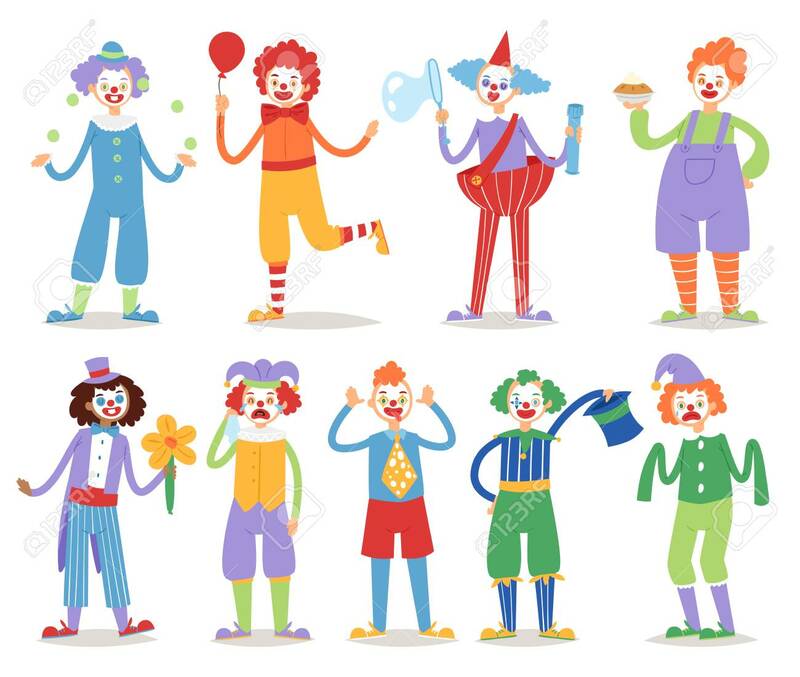 Cartoon clown character funny circus man clownery colorful friendly costume male clownish artist vector illustration.